The German House label lickin ‘records was founded in 2004 by the two DJs and producers, Frank Sanders and Bernd Johnen. Since then more than 100 releases were released in the House, Dance and Electro genre. The main in-house artists are SUNLOVERZ, GLAMROCK BROTHERS, CASSEY DOREEN, KARAMI & LEWIS and TIGER AND DRAGON. In addition numerous tracks and productions from international artists were licensed and released including the likes of Antoine Clamaran, Crystal Waters, Chris Kaeser, Seamus Haji, Tristan Garner, Dr. Kucho or Dave Lambert.  In addition to the main label lickin ‘records, the label family includes the sublabels ‘Glamara Records’, ‘Lektrik’ and ‘Numerous Records’ with a focus on special house music genres each. Lickin’ records tracks are to be found on all major house / dance compilations s.a. KONTOR TOP OF THE CLUBS, MINISTRY OF SOUND CLUBBERS GUIDE, CLUB SOUNDS, and of course in the online offerings of all popular download portal s.a. ‘www.beatport.com’, ‘www.musicload.de’ or itunes.